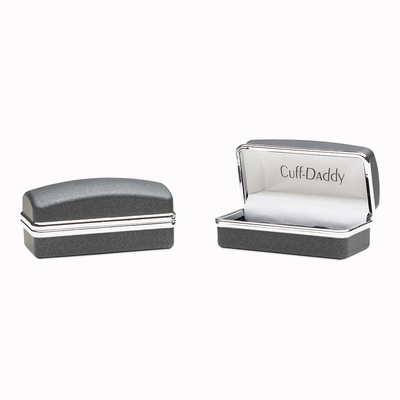 The classic designs of the 1960s and 1970s are alive and well thanks to these cufflinks. These are made from a variety of enamel paints including maroon, orange and pink, that form little squares covering the 5/8-inch space. The overall effect on this cufflink design creates a look where one square in inside another and so forth. The base of each piece is made of rhodium silver that also shows in the borders of each square. 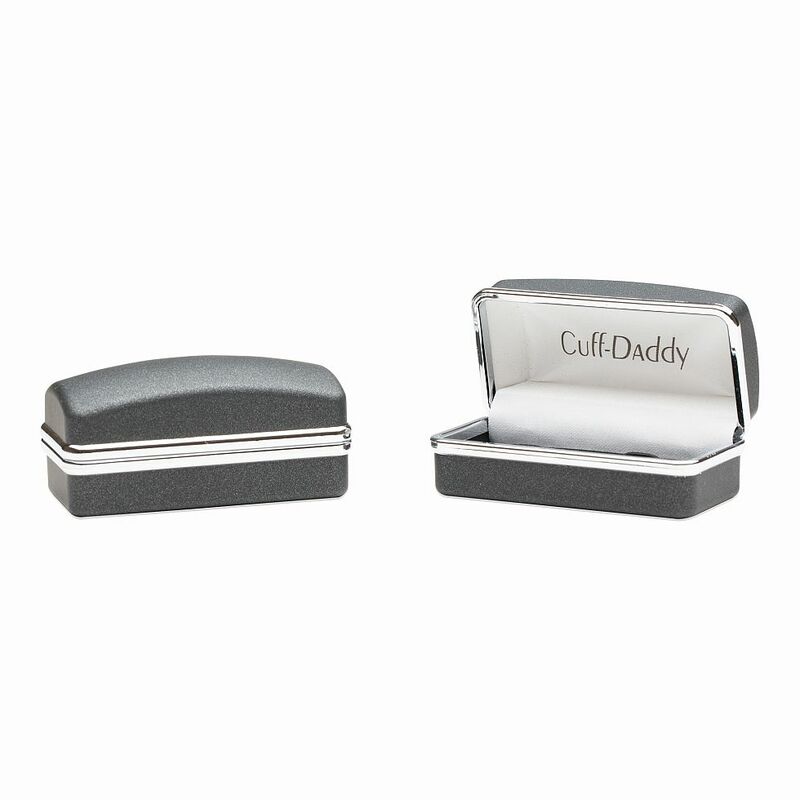 The entire set is fully polished to give it a fine, shiny, high-class appeal. This set is a match of class and luxury that prove that high fashion isn’t dead. 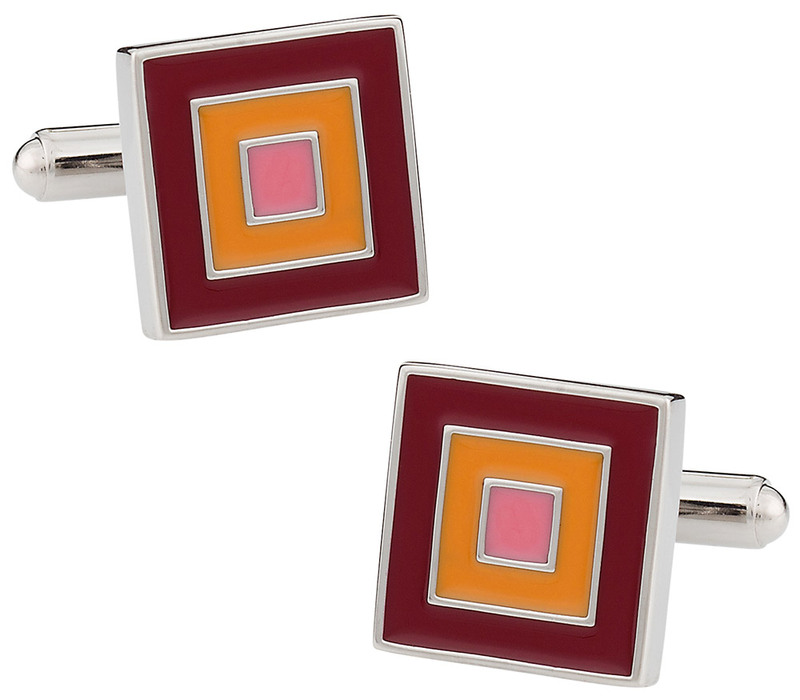 These cuff links are simple but filled with bold colors with the bright pink drawing the eye to the center for a great pop.